Faye is studying the video from her youth that she found one day and she sees a waterfall. 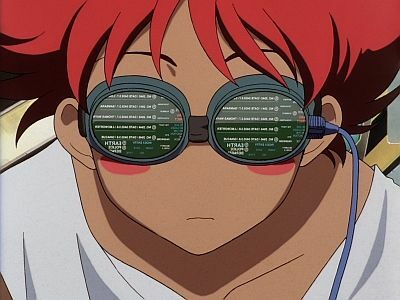 Ed sees it and states that she knows where that waterfall is so they set the Bebop's path to earth instead of Mars. 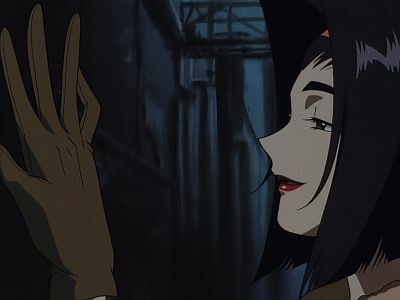 Will Faye be able to find out about her youth and what about Jet and Spike who don't know that the ship is now heading for Earth? 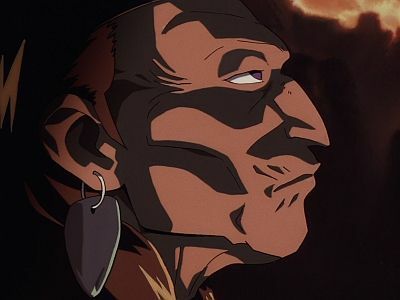 Spike's past emerges to haunt him when a 28 Million Woolong bounty is placed on Mao Yenrai, the crimeboss of the Red Dragons. 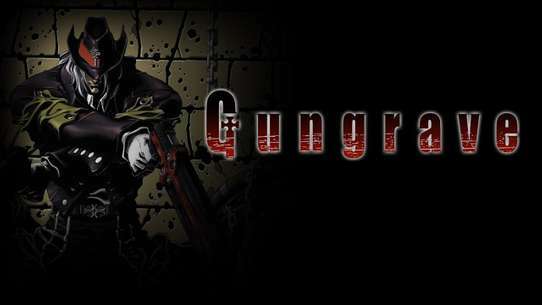 Faye goes after the bounty and is captured by a cold-hearted man named Vicious. 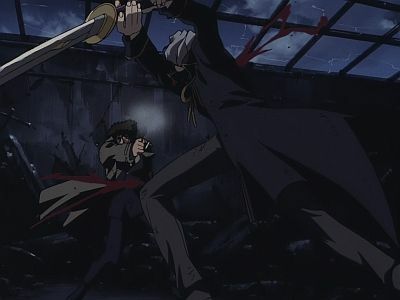 Against Jet's will, Spike leaves to go after the murderer of Mao Yenrai and faces off against Vicious. 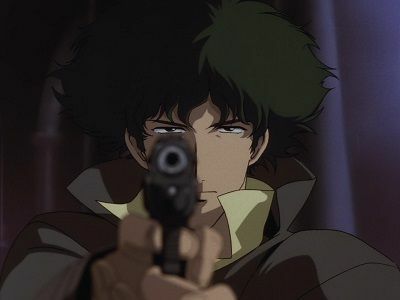 Spike wakes up and discovers that he has only been shot with a tranquilizer. He slowly rises and continues his search for Julia. In Gren's apartment, Faye has been handcuffed by her host as he tells her the story of the one man he truly admired: Vicious. 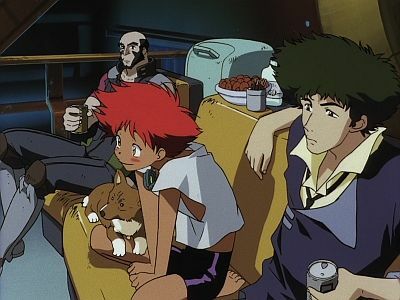 While Spike is watching television he comes across a religious organization called Scratch, whoes leader had quite a huge bounty because he leads his followers to commit suicide, so the crew of Bebop go off to try to find Dr. Londes in order to collect the bounty on him. Faye has stolen all the money and vanished. Ed is told to track her down on the computer. While Ed doesn't find Faye, she does find a mysterious code name, Julia, coming from the Blue Crow Bar on Jupiter's fourth moon, Callisto. Spike takes off for the moon, much to Jet's chagrin. 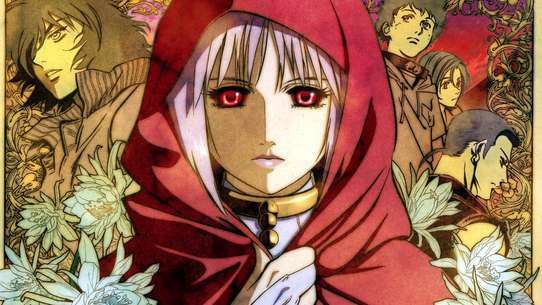 With his partner gone, Jet begins to look for Faye. 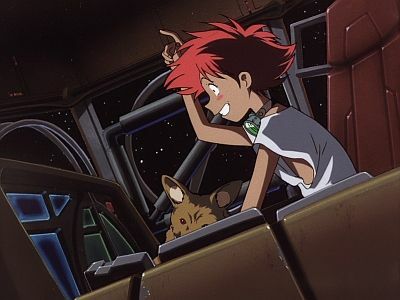 The Bebop is on its way to Ganymede, Jet's home when he was a cop, to deliver a bounty named Baker Panchorero. Jet starts to space out thinking about his old girl friend, Alisa, who left him years ago. 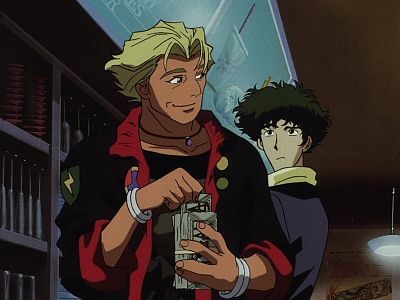 The Bebop lands and while Spike and Faye cash in the bounty, Jet goes to "Le Fin", the bar owned by Alisa. While Jet and Alisa are reminiscing about old times, Spike finds out that Alisa's current boy friend, Rhint, has a bounty on his head. 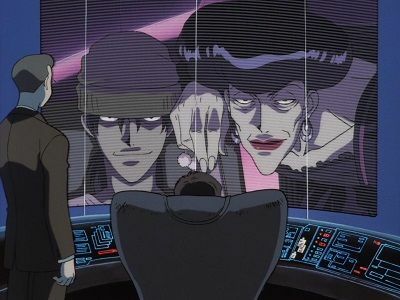 Jet, Spike, and Faye are after thier next bounty head, Decker. 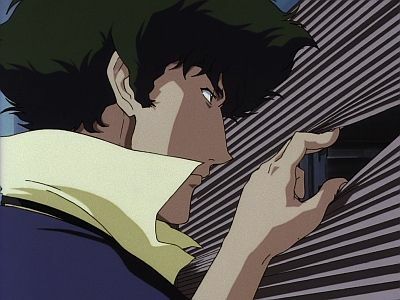 Spike gets a tip and is waiting for Decker in a bar along with every other bounty hunter in town. Faye is at an ice cream parlor waiting for Decker. 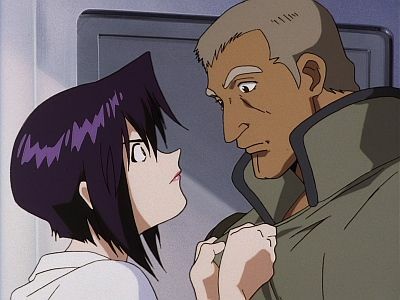 Spike meets V.T., a female space trucker, by helping her beat up some of the crude bounty hunters in the bar during a fight. Faye sees Decker and gives chase, but with the high explosives he has he messes her ship up. 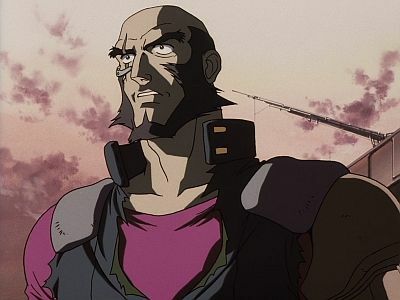 The story of this episode revolves around the character of V.T. While Spike is trying to find some food, he runs into a serial bomber; the Teddy Bomber who is trying to blow up a skyscraper. Will he be able to stop Teddy Bomber and collect the bounty on him? 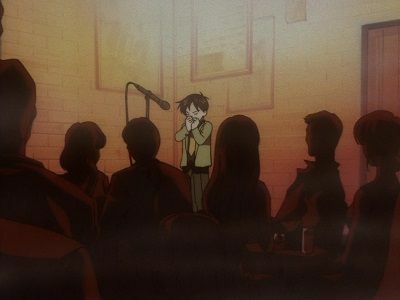 This episode was temporarily removed from airplay on Cartoon Network after the September 11, 2001 attacks, but has since entered normal rotation. 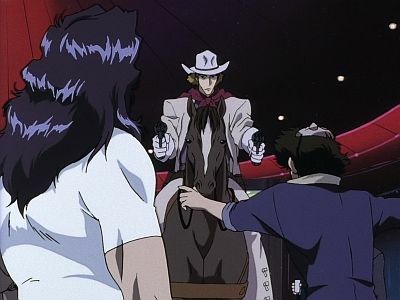 Jet, Spike, and Faye are in need of money so Jet decides to catch a bounty head who is a con-artist. 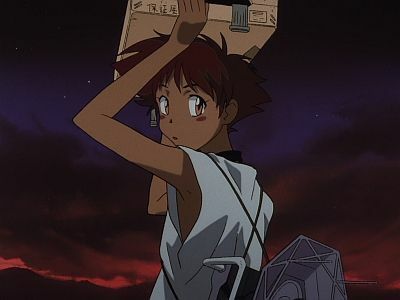 Meanwhile, needing to get it off her chest, Faye tells her life story to Ein to try to relieve her stress, though Spike winds up hearing her story, but will it change his opinion of her? 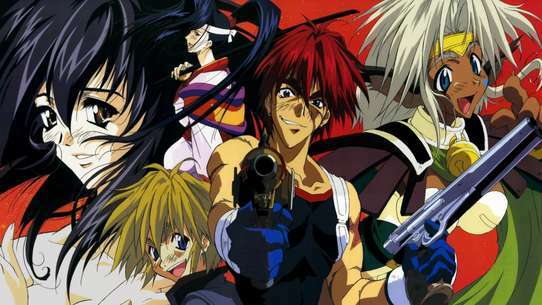 Spike, Jet and Faye are each out catching a bounty. The bounty they were after, the mastermind behind a gate hack scam, wasn't among the bounties they caught. 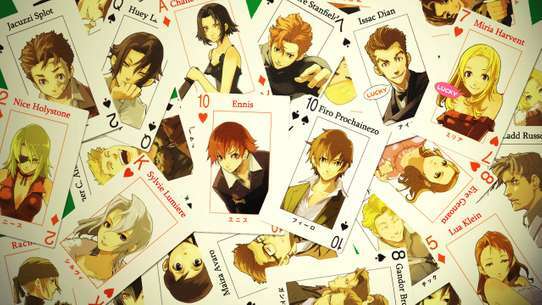 They have only one clue to help them find their man: four chess pieces, all kings. A satellite draws strange images on the surface of the planet Earth in South America. The police believe it was a prank by a hacker who hacked into the satellites mainframe. 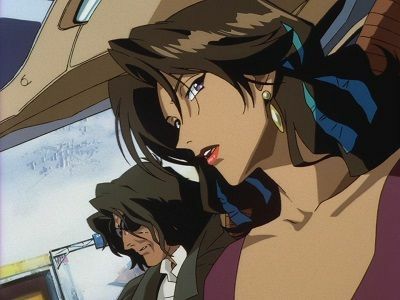 Jet and Faye go to Earth to try and find the hacker. Jet goes to find out what kind of hackers work the area. Jet finds out that "Radical Edward" is responsible, but they soon find out that this is going to be different than they anticipated. 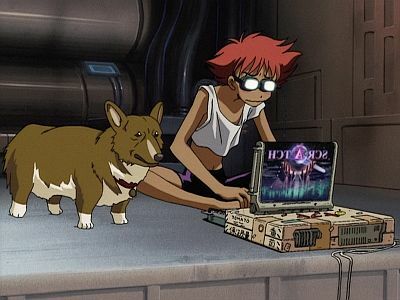 It's a normal day on the Bebop for bounty hunters Spike and Jet, until they find out about a new bounty hunter. 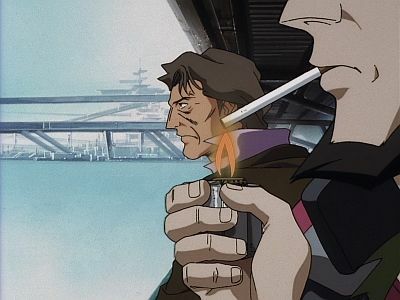 Asimov Solensan is going around selling a new drug that he stole from the syndicate. 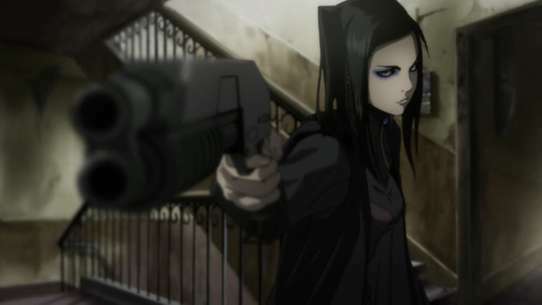 It is an eyespray called "Bloody Eye" which makes all of its users very fast and almost invincible, but they also go crazy. Spike and Jet do whatever it takes to catch the culprit. At the same time the syndicate is trying to kill Asimov and get the drug back from him. 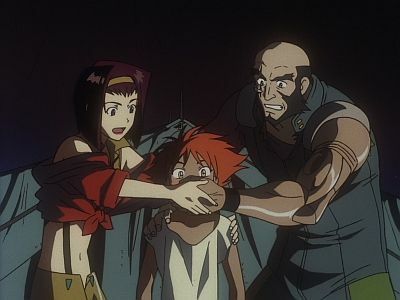 It begins with Faye complaining about the Bebop's shower. Her nagging of Jet leads to a question about his arm. Then an old partner of Jet's during his days with the ISSP, Fad, calls up wanting to team up with Jet one last time. Fad wants to go after a runaway prison ship that happens to be carrying an old enemy of Jet's, Udai Taxim, who used to be an assassin for the syndicate. Udai had something to do with Jet losing his arm. Jet at first refuses, but finally decides that this is something he must do. 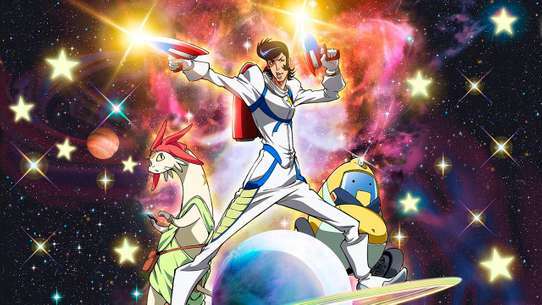 Jet and Faye are after Starship Pirates, while Spike is bringing his ship to be overhauled. 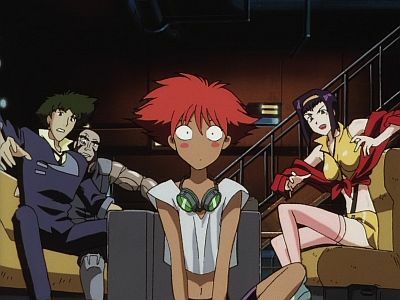 After Spike's return to the Bebop, he finds out that Jet and Faye didn't capture the bounty heads. The Starship Pirates have a virus that they transmit by harpooning ships. As long as they avoid getting harpooned, they'll be OK. If they do get harpooned, Jet's solution is to turn of their ships' computer systems and fly them manually. One misstep on Spike's part, and he's a dead man. Jet and Spike are out chasing thier next bounty named Giraffe. 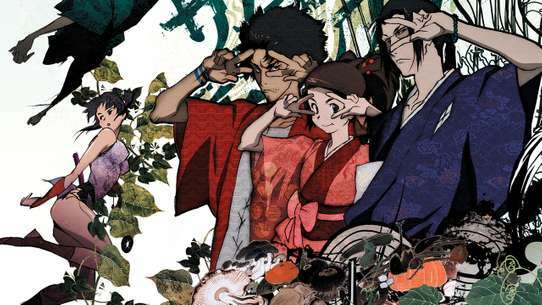 When Spike is following Zebra, Giraffe's old comrade, he meets a kid named Wen, a musical child prodigy. There is something strange about Wen. 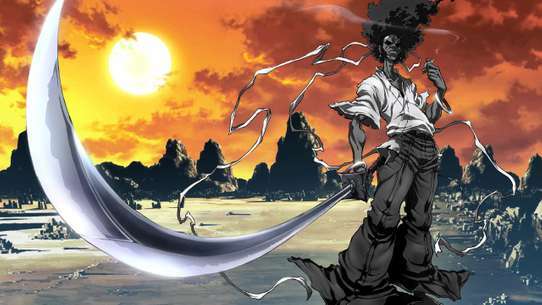 Jet discovers that there is a connection between Wen and a stone Giraffe handed to Spike with his dying breath. 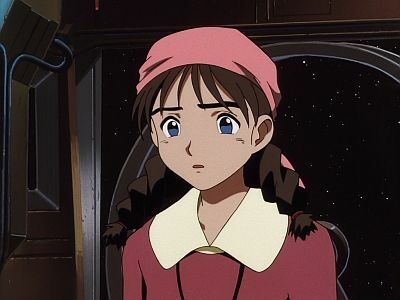 Faye has lost her money and is stranded in Jupiter's orbit with no fuel. She finds a destroyed ship floating nearby and inside finds a dying pilot who asks her to take a briefcase to the I.S.S.P. 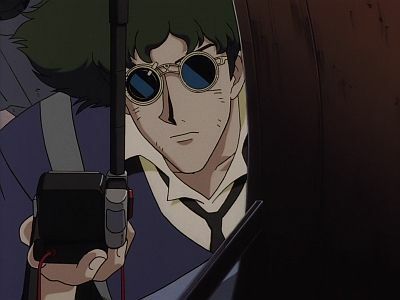 At the same time, Spike and Jet are getting ready to capture a bounty named Morgan, but when an eco-terrorist group called the Space Warriors kill Morgan first, they decide to go after a different bounty; the leader of the eco-terrorists! 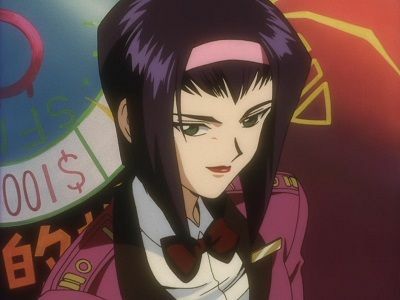 Faye Valentine, a woman on the run from the authorities, is held captive by a casino owner who wants her to perform a simple task. If she does this, then all of her debt the authorities are so eager to obtain from her will be erased. At the same time, Jet has a premonition to take a chance with his hard earned money. 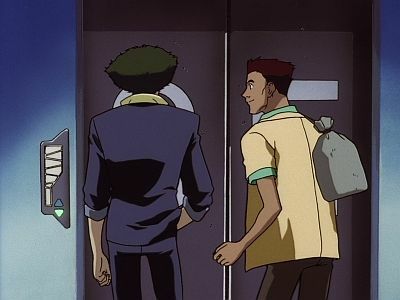 The former cop and Spike head over to the same casino that Faye is now working at. After Jet receives a note from an old friend, he attempts to track him down but just finds a tombstone. While he's there, he finds a young girl who helps him dodge some mobsters. They soon realize that they can work together to help each other find Pao, but will it be in the manner that they expect?